Barbara is a senior Iyengar yoga teacher and founder of Pathway Yoga. She has studied regularly with the Iyengar family in North America and India for many years. Her appreciation of Iyengar yoga has deepened with time. Through its practice, she suffers less, and by its discipline, she tries to live well. Barbara upholds the Iyengar yoga tradition by directing and teaching at Pathway Yoga, and by training and assessing teachers. She sits on the PD Committee of the Iyengar Yoga Association of Canada/l’Association canadienne de yoga Iyengar. She is also co-chair of Friends of Jagruti, a Canadian not-for-profit that raises funds for a grassroots community organization located within walking distance of RIMYI in Pune. Leigh was first introduced to Iyengar Yoga in 1997 and found it to be particularly eye-opening. Having been influenced by some truly inspirational Iyengar teachers, she was motivated to become one, herself. She brings a light-hearted approach to her classes. Leigh has attended month-long classes at RIMYI in Pune, India, in 2011 and 2014, and Geeta Iyengar's 70th birthday intensive in 2014. She continues to learn from senior Canadian and international teachers. Jean-Pierre (JP) has the curious gene. From the forests of Africa to the ancient Silk Road and underwater Yucatan caves, JP has explored and filmed many layers of the Earth. It was only natural for him to pursue his quest through the inner exploration of yoga. classes dedication and a vibrant energy that will lighten your day. Après avoir pratiqué diverses formes de yoga et obtenu une certification de Hatha yoga, Florence a découvert l’enseignement du Yoga selon B.K.S Iyengar. Ce fut pour elle une révélation tant cet enseignement lui a permis d’approfondir sa pratique. Florence est une enseignante dévouée, patiente et énergique. Professeure de français pendant de nombreuses années, elle allie dans ses cours le plaisir de partager son intérêt pour le yoga à celui de communiquer en français. Ses cours sont une belle occasion de découvrir le yoga Iyengar et de progresser en français ! Florence est maintenant professeure certifiée Iyengar Yoga. 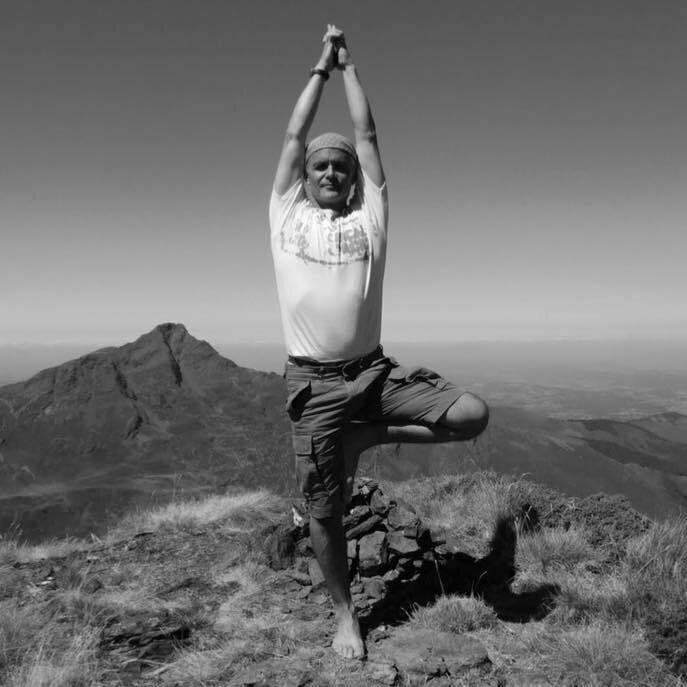 Markus started practicing yoga in 2005 while looking for a cross-training complement to his intense outdoor activities, such as climbing and mountaineering. He started teaching yoga regularly after obtaining hatha yoga certification in 2009. He then discovered Iyengar Yoga in 2011, and was immediately captivated by the richness of this system and how it was positively impacting his own practice. Markus is now a certified Iyenga Yoga teacher. He always brings enthusiasm and positive energy to his classes. All those years sitting in a chair for work finally caught up with me. I ached everywhere! I made a resolution to turn back the clock and reclaim my health. As I studied and practiced, the pain I had learned to live with started to disappear (i.e. sore feet, hip, back etc.). Iyengar Yoga is a precise set of practices, focusing on mobility, stability, strength and alignment of the body. There is also a psychological aspect. Our concentration draws inward, calming and integrating and mind. We walk taller, speak more clearly and project calmness and confidence. My personal goal to fix my body has now turned into a goal to help others find this freedom; to help you be comfortable in your everyday life. 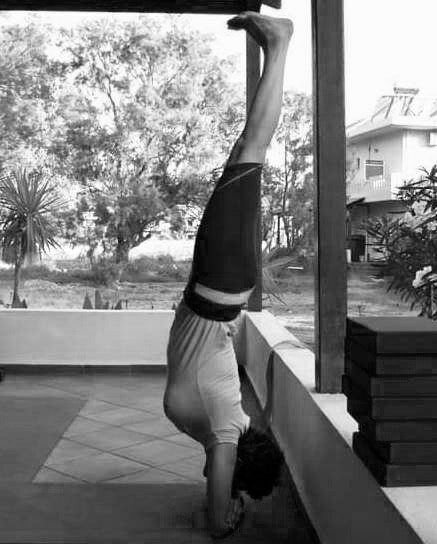 ​Originally from Switzerland, Karin discovered yoga in 1995 while traveling in Asia. She has been teaching Iyengar Yoga since 2004 but the learning never stops. Karin has traveled to Pune twice to study directly with the Iyengar family and she continues her studies with both Canadian and international senior teachers. Carole originally studied Iyengar yoga with Val Paape in Winnipeg. She was certified in 2009 and enjoys sharing her understanding of yoga, since it inspires her own explorations and practice. She has traveled to Pune to study with the Iyengars, and continues to study with various senior teachers. In her parallel life, Carole works in communications and social policy to support her longtime artistic film/photo praxis. 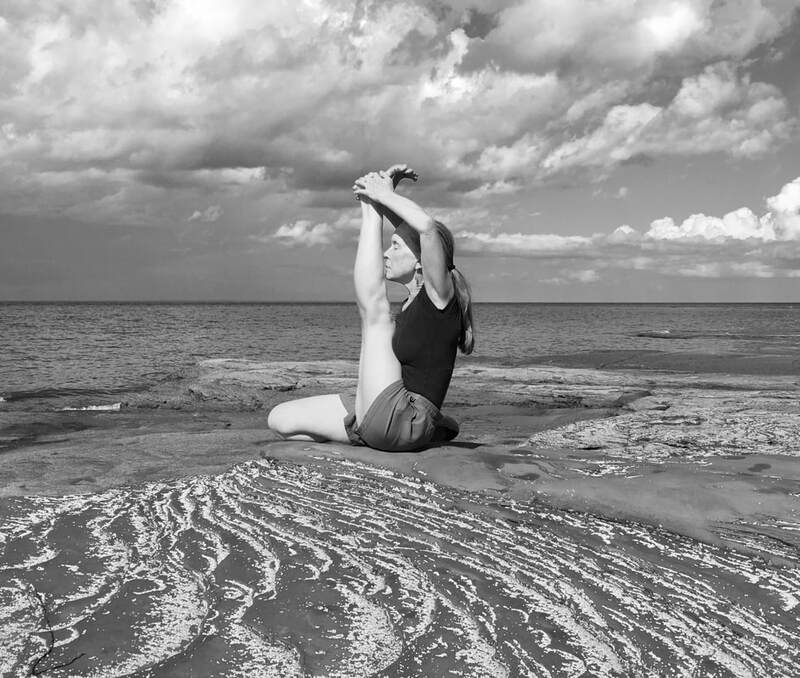 ​Jennifer Zelmer has been practicing Iyengar yoga for more than a decade and has been fortunate to study with teachers in Canada, Denmark, England, and elsewhere. Jennifer is an internationally certified Iyengar Yoga teacher and delights in sharing the practice of yoga with others. She continues her studies under the tutelage of senior teachers, in Ottawa and beyond. ​Shreya is a Yoga practitioner and physiotherapist from Gujarat, India. She belongs to a Hindu family and experienced the ritual use of Sanskrit in everyday life. She was introduced to yoga in school, began to study Iyengar yoga in 2016 and now finds yoga to be an integral part of her life. Her passion inspired her to pursue research on yoga intervention in rehabilitation of lung cancer patients as a part of her master’s degree at the University of Alberta. Shreya likes teaching and is happy to share her Sanskrit knowledge with the yoga community in Canada. Shreya believes that medical science combined with yoga can bring fruitful results in society. Liz (a.k.a “Pip") is a third year Iyengar teacher in training. She has an adventure racing and endurance sport background and was initially drawn to Iyengar yoga as a way of managing a mountain biking injury. She was immediately drawn by the precision and depth that Iyengar yoga offered. She brings a curiosity to her practice with the essence that it grounds you in present moment, and leads to self discovery.